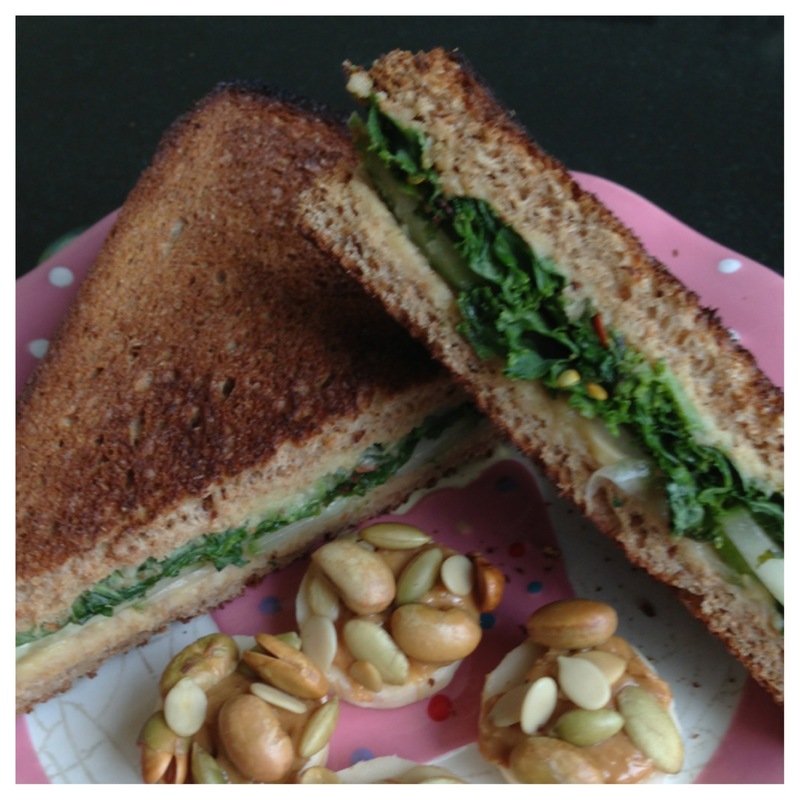 Easy Kale & Hummus sandwiches | Day in the life of a little lady with a life goal to inspire. 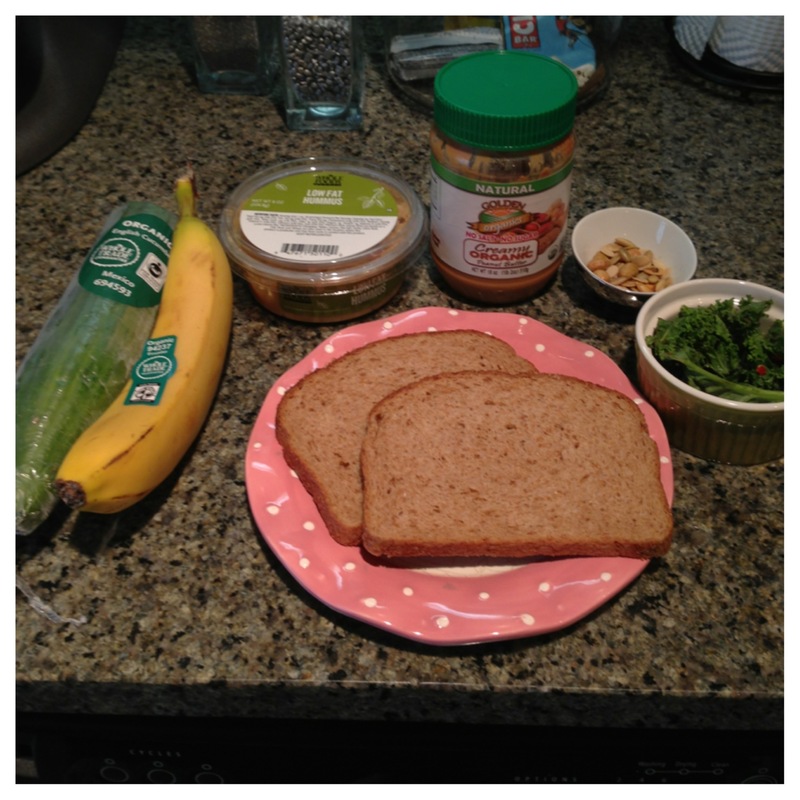 This is a quick, simple, and nutrient dense sandwich that you can easily make at home. I chose to feature kale because there are very important benefits to consuming it. Kale is high in fiber, iron, and filled with antioxidants. It helps lower cholesterol and supports your cardiovascular system. It is also high in calcium; which in turn will help keep your bones strong. Kale aides in detoxing your body and you will start to feel more refreshed. To season the kale, I simply squeezed lemon juice and sprinkled chili flakes. Spread the hummus on one slice of bread. Then layer on the seasoned kale. Spread hummus on the other slice of bread. Assemble and…done! Quick, easy, and so good for you. Now slice your bananas. I love bananas and peanut butter together. Bananas are a great source of potassium and vitamin c. I dipped it into a blend of pumpkin seeds and watermelon kernels that I bought from a farmers market. It’s a great alternative to sugary sweets to satisfy my sweet tooth. Replace your processed lunch with a vitamin rich sandwich. Your heart and health will thank you later ❤ Cheers to a happier and healthier lifestyle!